Don't Vote Ajimobi He Owed My Mother and My Late Father Money - Ibadan Man Beg Oyo State People - NAIRAFAME | Best Entertainment Platform. 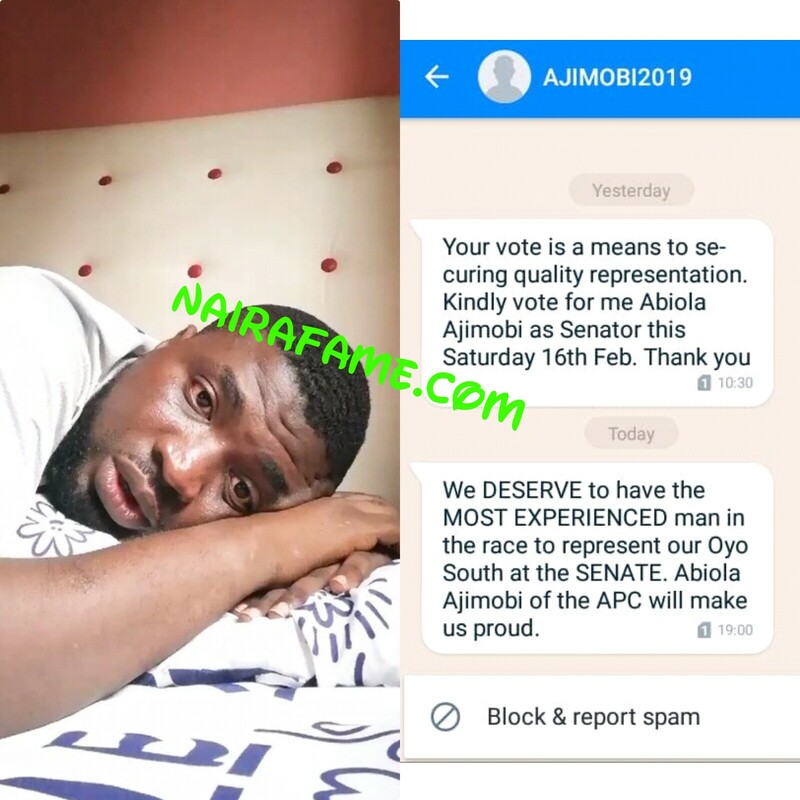 Please don't vote for Abiola Ajimobi he is owing my mother 22 months pension arrears, he owed my late father over 15months in pension arrears, Ibadan man who just got married, Olaseni Oladejo calls out Ajimobi and leaked his private chat begging people for vote. See Olaseni post below and the private chat. This man is owing my mother 22 months pension arrears. He owed my late father over 15months in pension arrears until his death too. Ibadan people please don't vote for Abiola Ajimobi. He does not deserve to go to the Senate. Abiola Ajimobi is not quality representation.